C. Jeffrey McInnis is a Partner with the firm. Jeff’s practice is focused in the areas of real estate development and closing transactions, guardianship, probate, utilities law, and the representations of local governmental agencies. 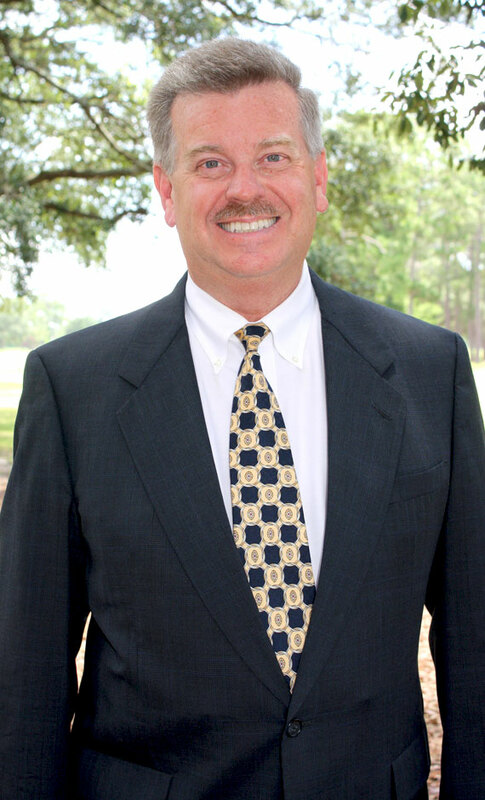 He has served as the attorney for the Town of Cinco Bayou since 1986 and for the Okaloosa County School Board since 1990. He also represents numerous fire districts throughout Northwest Florida. As a graduate of both Niceville High School and Okaloosa-Walton Junior College, he is a proud native of Northwest Florida. He attended Florida State University and graduated with a double major in Risk Management-Insurance and Real Estate. Upon graduating from Stetson University College of Law in 1985, he returned home to start his law practice where he met his wife of over 25 years, Katherine. He and Katherine have three wonderful children and are members of the Shalimar United Methodist Church. Jeff was honored to be appointed by the Governor to the Board of Trustees of his alma mater, Okaloosa Walton Community College, where he served for 12 years with a term as Chairman. He is a former President of the Florida School Board Associates and served in the Florid Board of Bar Examiners with a term as Chairman.